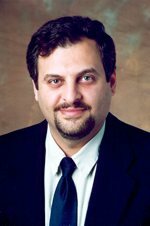 Dr. T. Tashtoush is an Assistant Professor of Engineering in Texas A&M International University (TAMIU), Laredo, TX. He got his Ph.D. and M.S. degrees in Systems and Industrial Engineering from State University of New York (SUNY) at Binghamton on 2013 and 2009, respectively and his B.S. in Mechatronics - Mechanical Engineering from Jordan University of Science and Technology (JUST), Irbid, Jordan on 2005. He is one of the founders and the Vise-President for The Society of Hispanic Professional Engineers Laredo Professional Chapter. 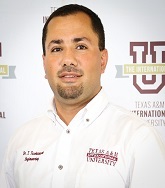 He is the founder, faculty adviser and team leader of TAMIU DustyTRON and DustySWARM Robotics and intelligent systems teams, DustyMOTOR Society of Automotive Engineers (SAE) International Team/Chapter, and the TAMIU Society of Woman Engineers (SWE) student Chapter, also, he is the Faculty Advisor of TAMIU Society of Hispanic Professional Engineers (SHPE) Chapter, Students Engineering Council. In addition, Dr. Tashtoush is the West Officer for the Corpus Christi Section of IEEE and the advisory and facilitator for the Youth Science Leader of Laredo non-profit organization. He is a professional member in Society of Hispanic Professional Engineers (SHPE), and Society of Woman Engineers (SWE) organizations, and a life-member of Phi Kappa Phi Honor Society and the Secretary of Phi Kappa Phi Honor Society Chapter 296. He is a multi-discipline engineer, who has experience in the field of Systems Simulation and Design, Production Quality and Management, Lean Manufacturing, Robotics and Automation, Artificial Intelligent, 3D Printing Processes, Engineering Statistical Analysis, Project Management, Optimization, Instruments and Electrical Devices, Reliability, Healthcare Systems, Nano-Technology and Energy Harvesting, and Human Factors. Lean Manufacturing and Six-Sigma Implementation, Health Care, Human Factors, Robotics and Automation, Process Improvements, Reliability, Electronics Packaging, Quality Control, Production Scheduling and Control, Optimization, Systems Simulation and Modeling, Statistical Process Control, STEM Education and Student Success, Artificial Intelligent, and K-12 Education. Afshin Mesbahi received his B.Sc. degree in electrical engineering from Semnan University in 2007. He received his M.Sc. and Ph.D. degrees in electrical engineering from the Sharif University of Technology in 2009 and 2014 respectively. 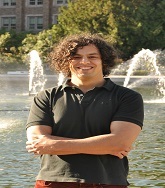 Dr. Mesbahi is currently working as a Postdoctoral Research Associate with RAIN Lab at the University of Washington. Previously, he was a Postdoctoral Research Associate with the Rohani Lab at University of Georgia (May 2016–May 2017), a Postdoctoral Research Associate with the Complex Systems Control Laboratory at University of Georgia (November 2014–April 2016), and one of the Visiting Research Scholars with New Mexico State University (March 2013–June 2013) and University of L’Aquila in Italy (October 2012–February 2013). His current research interests focus primarily on distributed coordination algorithms, matrix decomposition, network control, computational neuroscience, power grids, stochastic modeling of epidemiology, and generally lie in the area of modeling, analysis, and control of large-scale networks. Valery Komissarova is an advisor & mentor to early-stage startups in frontier tech space in the areas of marketing, business development & fundraising. Until recently, she was a Principal at Grishin Robotics, first hardware-only VC firm. As the first employee, Valery played instrumental role in getting firm's brand off the ground as well as building its investment portfolio, ultimately leading to a successful fundraising of $100M fund. She sourced multiple investments in Grishin Robotics's portfolio, including Spire, littleBits, Zipline, Sphero and others. Prior to that, Valery worked in engineering, marketing & business development roles at multiple startups, most notably - Mail.Ru Group, which became the largest internet-company in Eastern Europe and went public on LSE in 2010. Jon C. Haass received his PhD from MIT in Applied Mathematics and continued as a CLE Moore Instructor before starting his first company in the field of GPS assisted navigation. He is the chair of the Department of Cyber Intelligence and Security at the nation’s first College of Security and Intelligence. 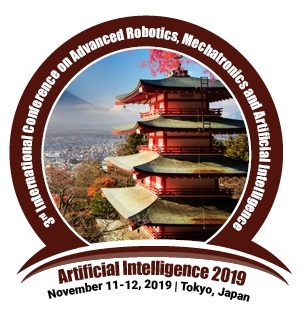 He has published and presented more than 30 papers in diverse areas ranging from Galactic Dynamics to Cyber Threat Intelligence Information Sharing. Dr. Haass is active in building the cyber security workforce in Arizona and is a member of CyberAwareAZ and the Arizona Cyber Threat Response Alliance (ACTRA). His areas of expertise include Cyber Intelligence Threat Hunting, Cyber Threat Sharing, Aviation Cyber Security, and Internet of Things Security. Dr. Henry Yeh joined the CSULB Electrical Engineering Department in 1983. A Professor since 1986 and Department Chair since 2016, Yeh holds a PhD in electrical engineering and MS in mechanical engineering from University of California Irvine. He has served as the organizer and conference chair of IEEE Green Energy and Smart Systems Conference (IGESSC) since 2010. Dr. Yeh has more than 100 technical publications, holds four U.S. patents, and is a member of the National Academy of Inventors. He was selected as a NASA Jet Propulsion Lab Summer Faculty Fellow in 1992 and 2003 and a Boeing Welliver Faculty Fellow in 2006. Among his many recognitions are the CSULB Northrop Grumman Excellence in Teaching Award (2007), the Distinguished Faculty Scholarly and Creative Achievement Award (2009), and the Outstanding Professor Award (2015). He also received five NASA Jet Propulsion Lab awards, and the Aerospace Corp. Inventor's Award. Dr. Yeh has consulted for JPL, Texas Instruments, the Aerospace Corp., AT&T, and others. He is a senior IEEE member and a professional engineer in electrical engineering. His research has focused on Digital Signal Processing/Communication/Control algorithms development using MATLAB, and implementation using field-programmable gate arrays and DSP with applications to communication systems, smart grids, optimization, controls, and electrical event detection. His areas of expertise are real-time DSP, Wi-Fi and Wi-MAX, adaptive systems, and mobile communication in multipath fading channels. I am Chief Product officer AI & ML in Digitalist Group (www.digitalistgroup.com). Also I am an AI and ML expert and a successful twice start-up entrepreneur. I am a frequent speaker in conferences and meetups. Additionally, I am a ML/NLP blogger. I believe that machine learning and NLP enthusiasts are looking for ML/NLP sessions where they can understand more of 'how' rather than just 'what'. Professor Bharat Bhargava a professor of computer science at Purdue University. He is conducting research in security and privacy issues in Service Oriented Architecture (SoA) and Cloud Computing. This involves identity management, trust and privacy, secure routing in internet and mobile networks and dealing with malicious hosts, adaptability to attacks, controlled data dissemination, and experimental studies. His recent work involves attack graphs for collaborative attacks. Prof. Bhargava has won six best paper awards in addition to the technical achievement award and golden core award from IEEE, and is a fellow of IEEE. He received Outstanding Instructor Awards from the Purdue chapter of the ACM in 1996 and 1998. He has graduated the largest number of PhD students in CS department and is active in supporting/mentoring minority students. He has graduated the largest number of women PhD students and the first African American student PhD in Purdue’s CS department. In 2003, he was inducted in the Purdue's Book of Great Teachers. He is editor-in-chief of four journals and serves on over ten editorial boards of international journals. Professor Bhargava is the founder of the IEEE Symposium on Reliable and Distributed Systems, IEEE conference on Digital Library, and the ACM Conference on Information and Knowledge Management. Bhargava has worked extensively at research laboratories of Air Force and Navy. He has successfully completed several Darpa and Navy STTR and AFRL projects. His recent work on Controlled Data Dissemination in untrusted environments under attacks received the first place in Purdue’s CERIAS security center symposium held in March 2015. This system integrated with secure browser (of MIT W3G.org) for adaptable E2E service configuration and agile defense under various contexts will be demonstrated to clients of NGC Corporation in their Tech-Fest in June, 2015 in McLean, Virginia. 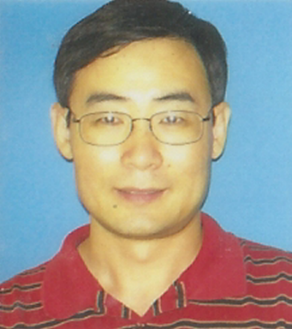 Lin Zhou has a Ph.D. from the University of Glasgow. He is currently the Program Director of Cognitive Education at Watson Education of IBM. Lin leads the R&D of intelligent tutor and cognitive cloud fabric by developing and applying artificial intelligence capabilities. He has broad patents and publications. IBM recognizes Lin as a Master Inventor.